Canada Research Chair in Public Police in Criminal Justice. Myrna Dawson is an Associate Professor in the Department of Sociology and Anthropology at the University of Guelph and Canada Research Chair in Public Policy in Criminal Justice. Her research focuses on trends and patterns in violence as well as social and legal responses to violent victimization, specifically intimate partner violence. She is the author of several reports (see below) and is co-author of Woman Killing: Intimate Femicide in Ontario , 1991-1994. Dawson has been the recipient of a number of research awards, including a Canadian Policy Research Award in 2000 for her work on intimacy and justice and a Gene Carte Award in 2000, American Society of Criminology, for her research on specialized domestic violence courts (with R. Dinovitzer). In 2002, Dawson served as an expert witness at the Ontario Coroner's Inquest into the killing of Gillian Hadley of Pickering by her husband. She is a member of the Domestic Violence Death Review Committee, Office of the Chief Coroner of Ontario ,and the Academic Advisory Committee, Canadian Centre for Justice Statistics. 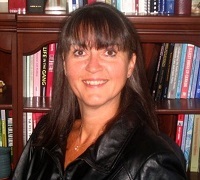 Two of her current projects examine, first, how three decades of social change experienced by Canadian women may be contributing to changing patterns in violent victimization and, secondly, how the implementation of specialized or ïproblem-solving' courts may be transforming the organizational culture of legal and service professionals in the Canadian criminal justice system. Dawson , M. (2005). Criminal Justice Outcomes in Intimate Partner and Non-Intimate Partner Homicide Cases. Ottawa : Department of Justice Canada. Dawson, M. (2001). An Examination of Declines in Intimate Partner Homicide Rates. Final Report, 80 pages. Ottawa: Department of Justice Canada.